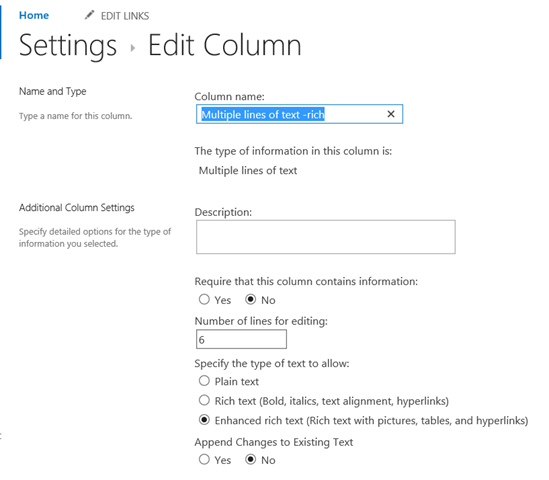 Back in March, I wrote about mapping SharePoint Column Types to Visio Shape Data Types ( see https://blog.bvisual.net/2014/03/03/mapping-sharepoint-list-columns-to-visio-shape-data-types/ ), and I skipped over the remaining SharePoint column types that could not be directly mapped. 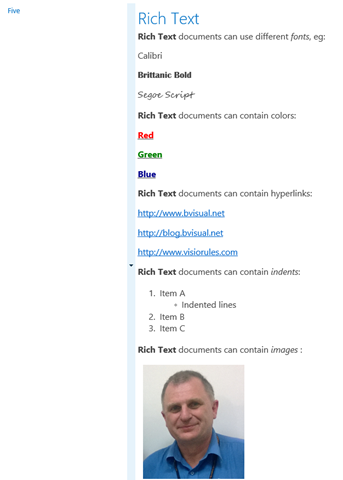 In this article I describe some of the possibilities of using the SharePoint Rich Text option for the multi-line column type. 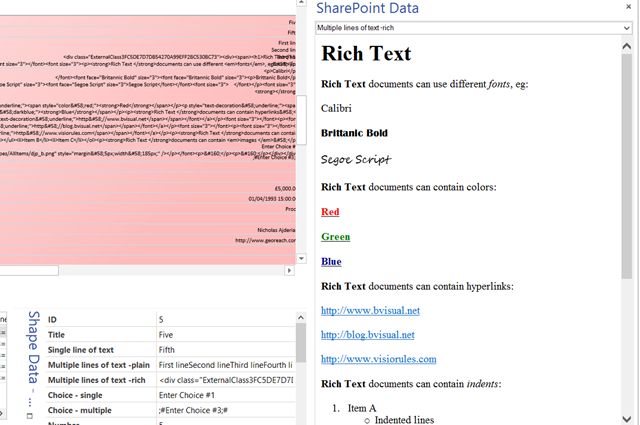 There are three different options for multiple lines of text columns in SharePoint 2013, so I tried the Enhanced rich text option because it allows for media and tables to be included. The ribbon provides a rich text editing experience for these types of data columns. The ribbon also allows for tables, media and links to be inserted into the data. 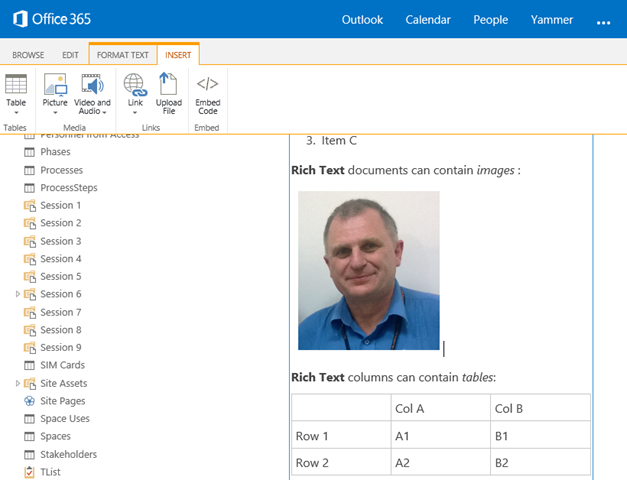 So, what happens when you try to link these types of columns to Visio using Link Data to Shapes?